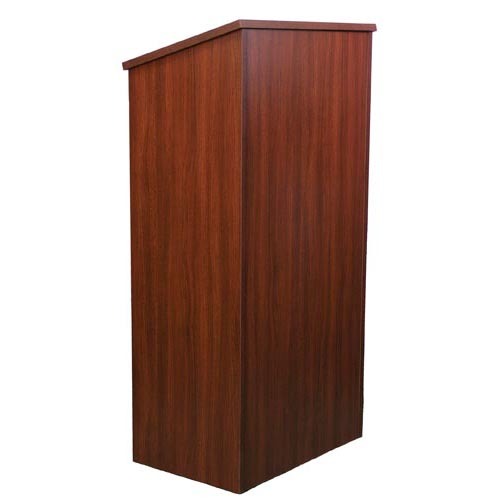 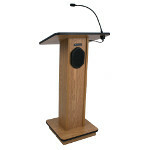 Full height wooden lectern with slanted top and paper stop for notes. 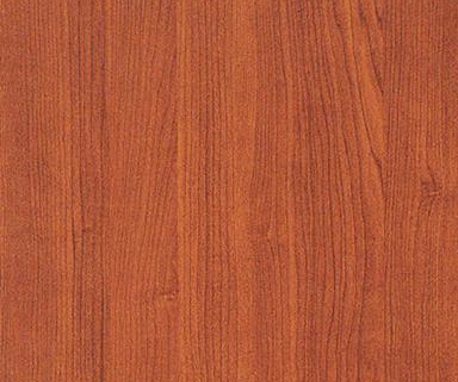 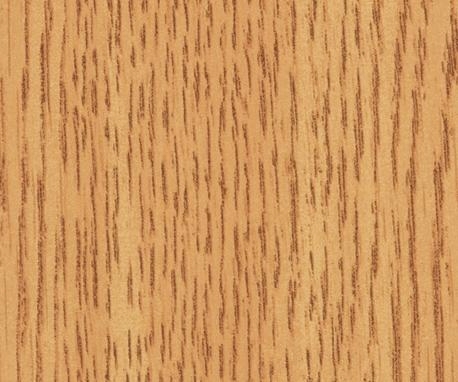 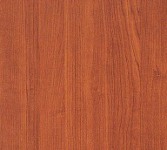 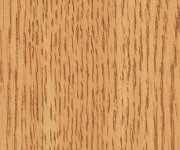 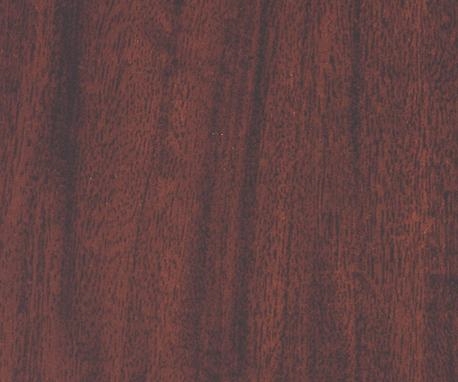 Durable melamine laminate and quality construction, shown in Mahogany. 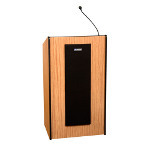 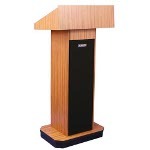 Full Height Wood Lectern This attractive full height wood lectern and laptop podium stand provides an economical, practical and lightweight solution for your lectern needs. 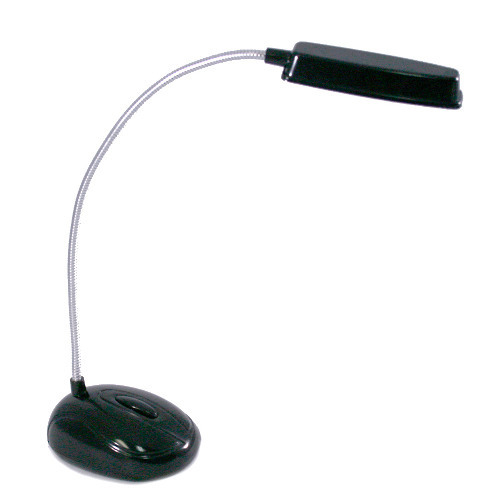 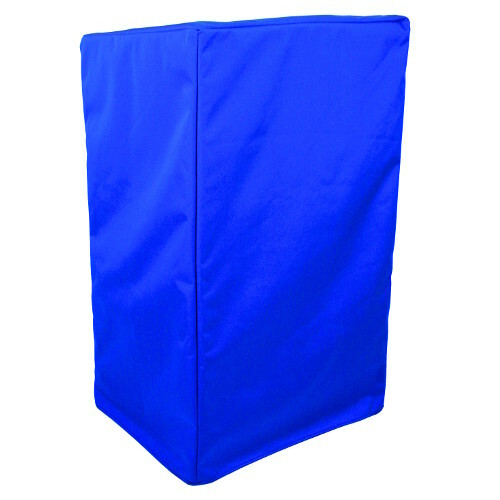 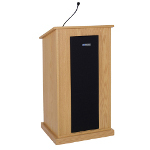 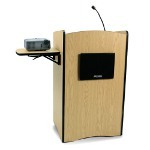 Adjustable lectern provides generous 16-in. 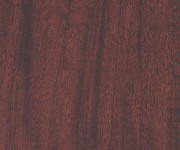 x 20-in. 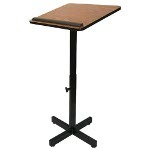 angled reading table surface with padded paper stop and black T-molding. Made from the highest quality solid wood & solid wood veneers. 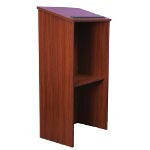 Plenty of storage with two shelves, rolls easily on four casters.